The greenback is prolonging the weekly sideline theme below the 97.00 handle ahead of the key US Non-farm Payrolls. Further gains hinge on a convincing clear of recent tops in the 97.20 region, which should pave the way for a continuation of the up move to the mid-97.00s. 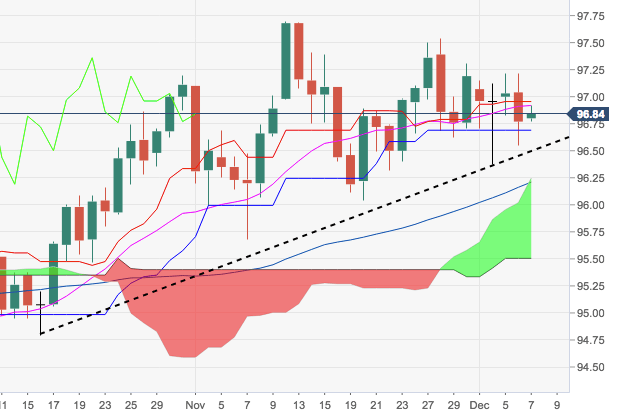 In the near term, the constructive outlook persists while above the support line, today at 96.50.